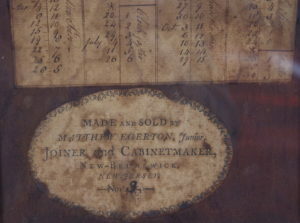 Matthew Egerton Jr. 1785 -1837 Cabinetmaker & Joiner, Burnet St. New Brunswick NJ. 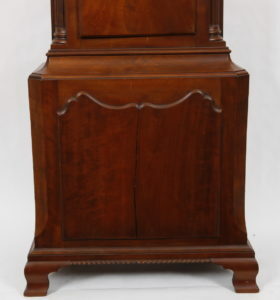 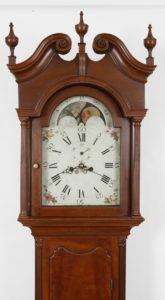 Cherry Chippendale Tall Case Clock made and sold by Matthew Egerton Jr. This is an original clock with mostly original feet (repairs, one foot ended out, weight broke through the bottom and repaired, etc..). 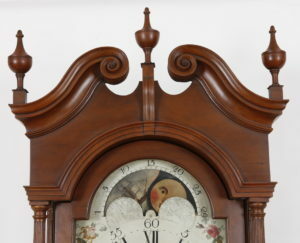 The finials are appropriate “bench made” and in the style of the New Brunswick Cabinetmakers. 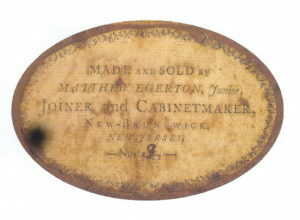 Even without the makers label inside you can immediately see the Egerton features: Note the conformal shape to the upper waist door section together with the top of the applied base panel. The combination of full fluted columns in the bonnet, fluted quarter columns in the waist and chamfered corners in the base are unmistakable Egerton attributes. 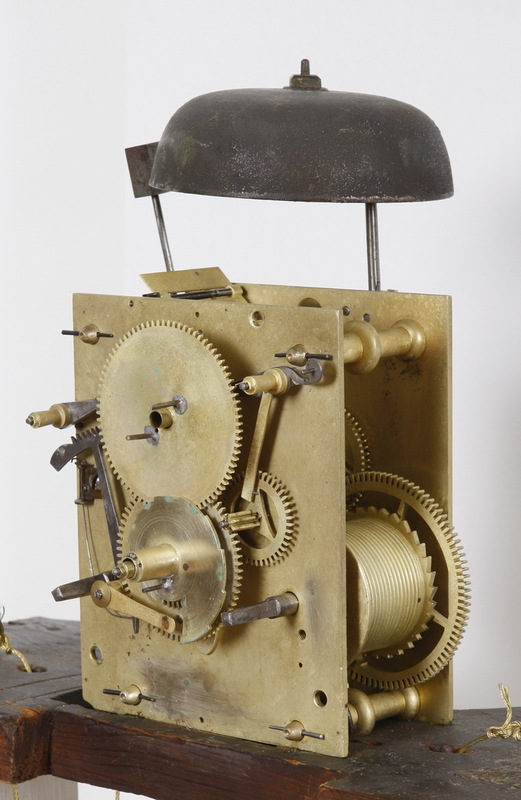 The oversized cast brass strap hinges that secure the waist door are another one of Egerton’s period details. 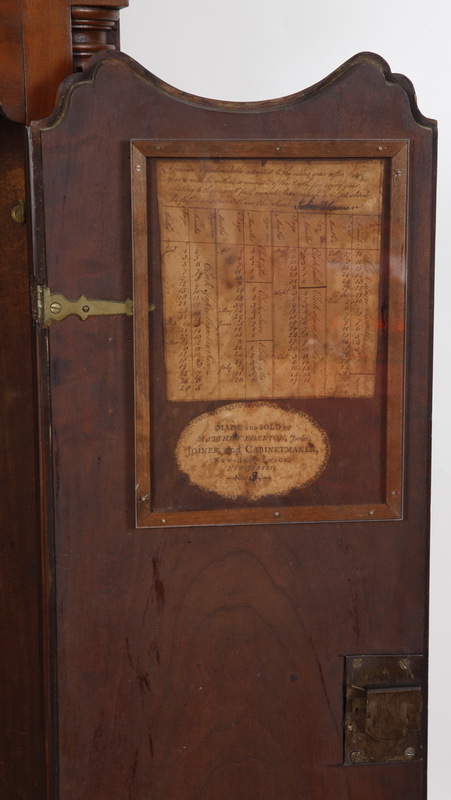 There is a hand written accounting of the timekeeping attributes on the back of the waist door along with the wonderful original Egerton makers label. The works are English and 8-day. The movement runs and strikes just fine. 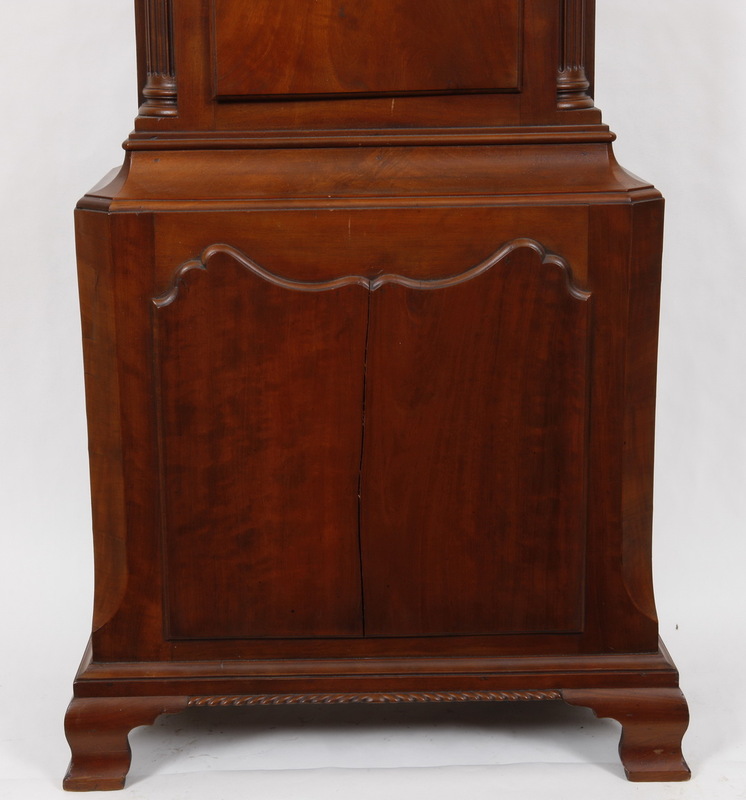 The case has been cleaned and refinished and has a very warm patina that showcases the highly figured Cherry selection. 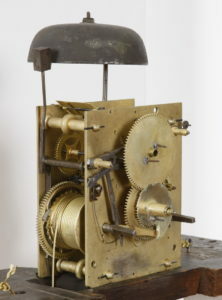 The overall dimensions of the clock 96 X 21 1/2 X 12 inches.